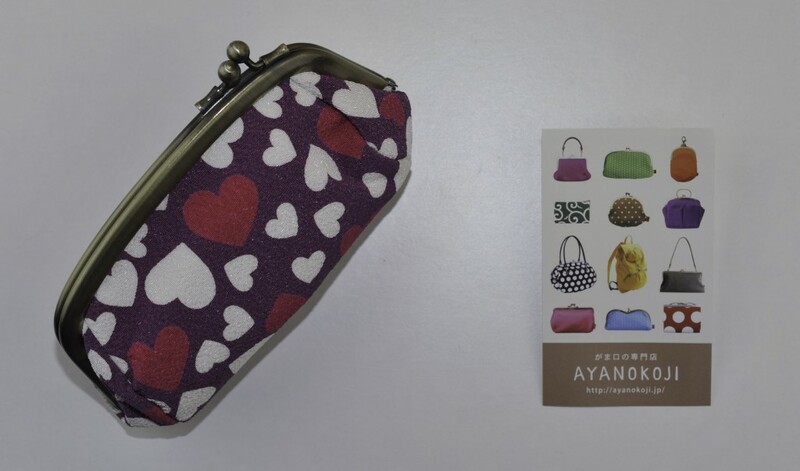 They call this the “Metal Clasp (Gamaguchi) Ayanokoji Pouch Heart“. When I was at Koyudo’s offices, they took it out for me (can you spot it here ?) 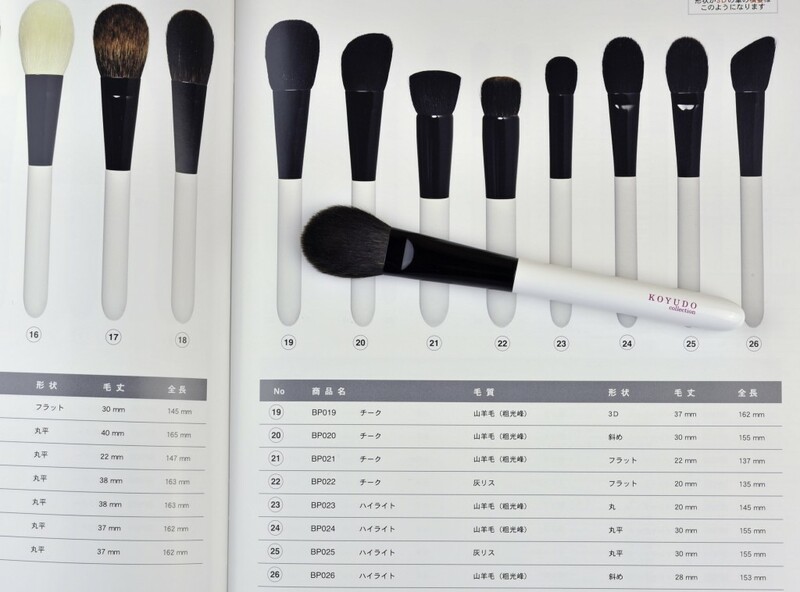 unfortunately I forgot to purchase it, I was overwhelmed with all the brushes in front of me and I just couldn’t take anymore but then CDJapan got it for me. I bought a few pouches when I was in Japan for several reasons, because I love them and because it’s something that is not often reviewed so I am trying to cover this topic a little bit more, you’ll see a few posts about them in the future. These items are made by the craftsmen such as Mr.Kazuo Hayashi,who has been chosen as “a modern master craftsman” in Kyoto carefully one by one. 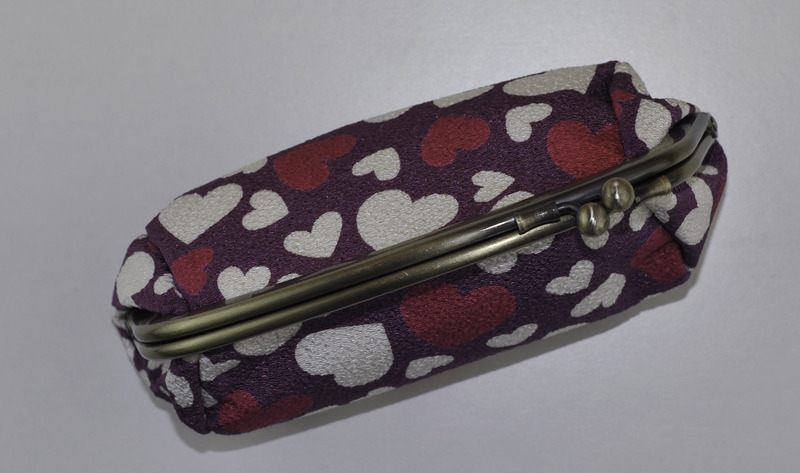 This is about workshop that produce this metal clasp pouch, sorry only in Japanese. There is no doubt that the pouch is well made, feels solid, is pleasant to the touch (I have some problems with some materials, I don’t like when they stick to the skin, when they feel like plastic or cheap). The material is not elastic, it has little waves embroidered that give it some dimension, then when it closes, it’s closed, you can even decide to close it silently or you can wake up your partner if you prefer, you chose, either way works. White and pink hearts on a purple background, it’s more vibrant than it looks in the picture and in real life I find it more beautiful. You have to like girly designs but although it looks girly, it feels robust. 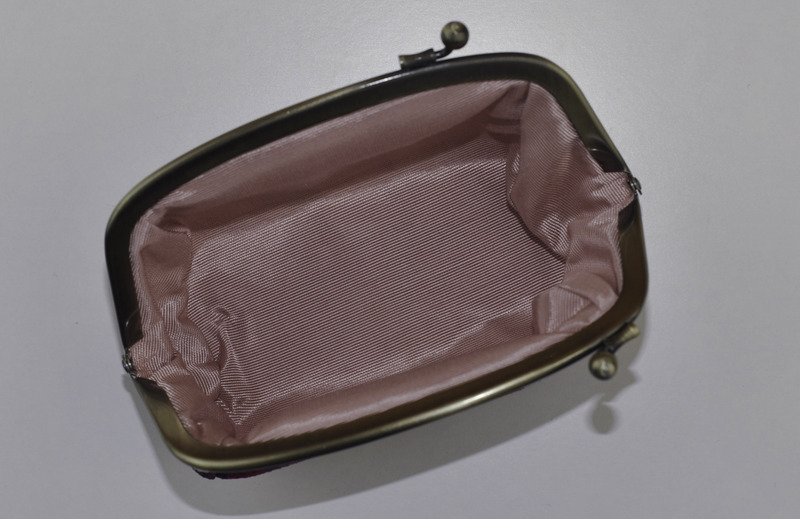 The interior layer is a rose pink material that makes me think of some kind of expensive handbag’s interior. I am not sure that it’s easily washable but I will enquire and let you know. or some little makeup items. I don’t know if you like this kind of things, I am usually not fond of girly materials or retro designs but the quality is there and the craftsman is talented and very touching, he made a beautiful little pouch and I am really happy to own it, specially now that I know who is behind its creation. I had two other brushes on my wishlist that I forgot to bring with me, again CDjapan came to the rescue, it was the BP025 and the BP030. 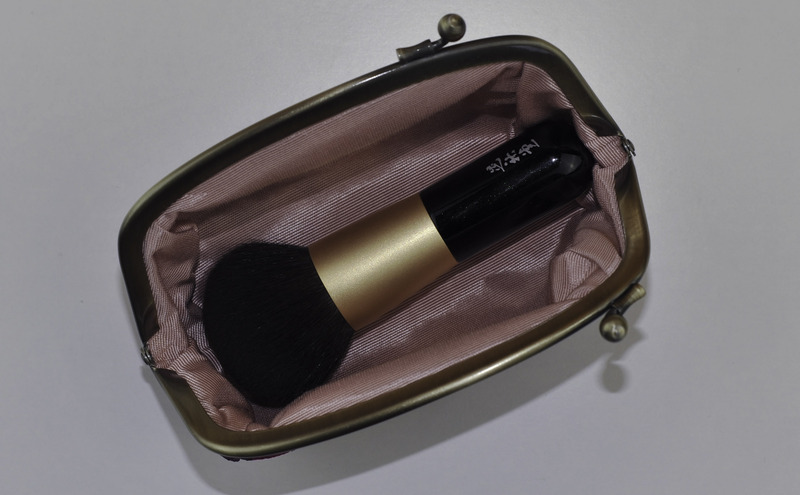 The BP025 because I got the blush brush BP018 recently and I love it !!! and I thought this one would be a little sister. The BP030 because Nikoleta told me she loved it and when Nikoleta tells you something is good, it is. I will show them to you right now. This is the BP025, it is such a wonderful gem, honestly it goes all the way up to my very very top favs. I don’t even know what to say, if you have the J116 from Hakuhodo it’s exactly the same but with squirrel hair, gorgeous, amazing, perfection, extremely soft with enough density to allow pressure and precision. With Nars Exhibit A you will have clown cheeks if you don’t remove the excess, it does pack a lot of product when it comes to awfully pigmented blushes. 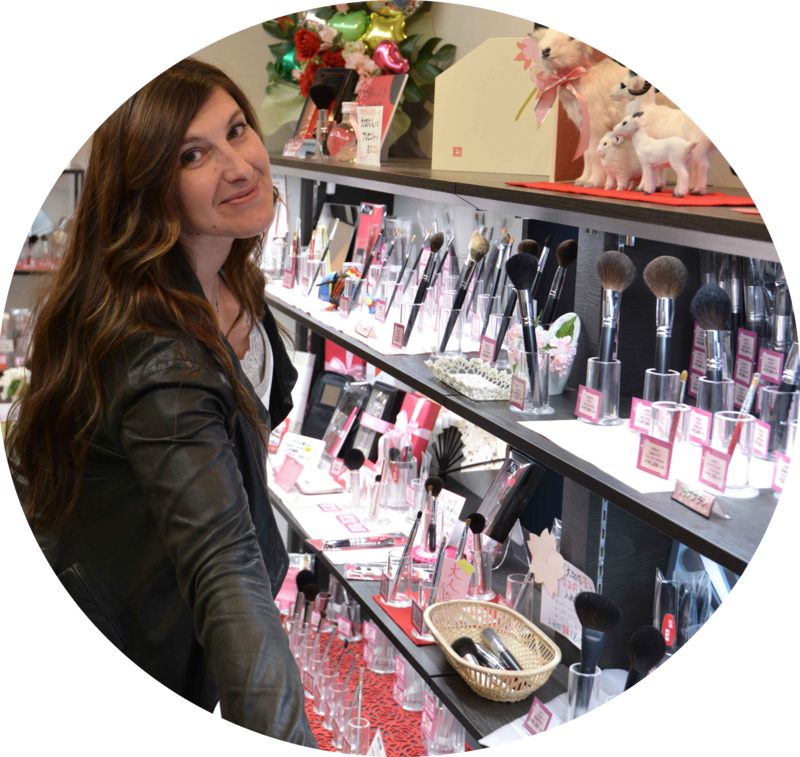 I love to pick up the product with both sides, tap excess and buff in paddle-round motions. Don’t ask yourself if this will work for highlighter or for blush or for setting your makeup with powder, just stop the agony and get it. Trust me. You will love it. There is not one hair out of place. This is the BP030 that Nikoleta told me about some time ago, it’s very very soft too, again very well bundled. 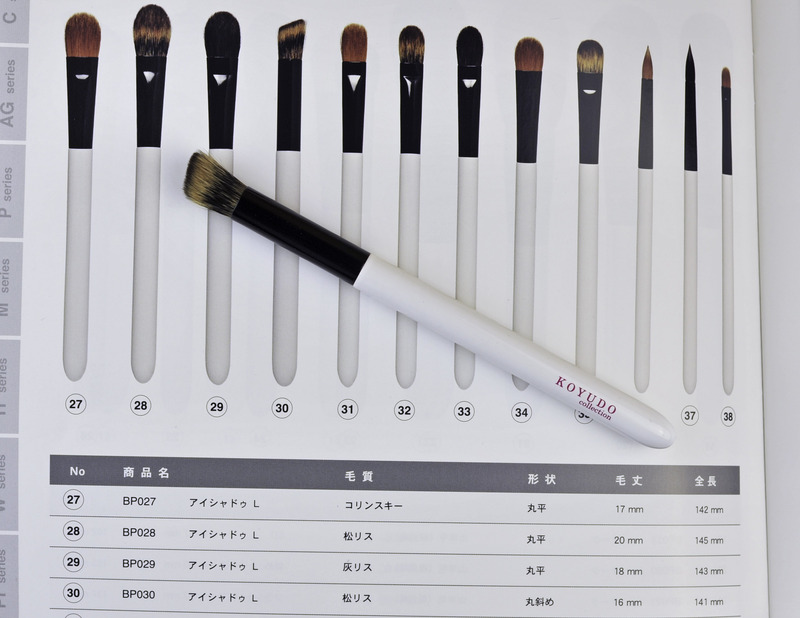 By the way, this is a brush that I recently recommended a few times so I’ll put a pic here too for those of you who are interested. It’s the BP036, Shu’s 5R dupe. 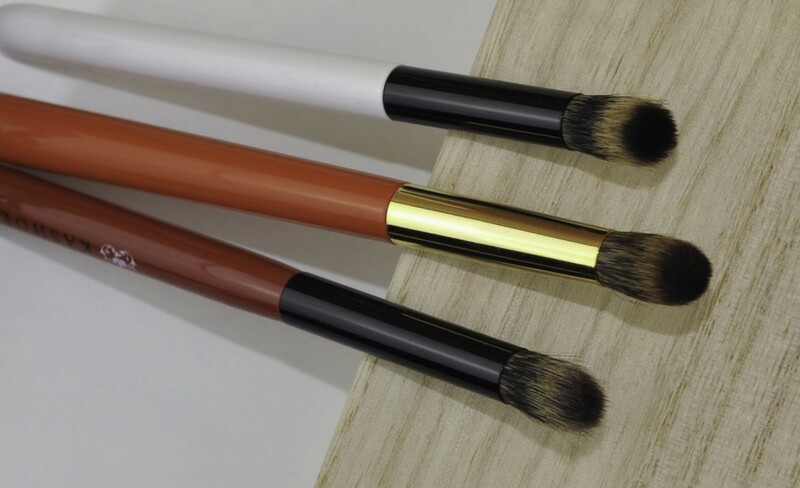 It’s a kolinsky brush, as soft as the Shu (maybe even softer), firm enough to do very precise placement and blending, it’s the fifth element and you need it. I am sorry to be so passionate but when I love something I can’t help it ! I hope you enjoyed ! 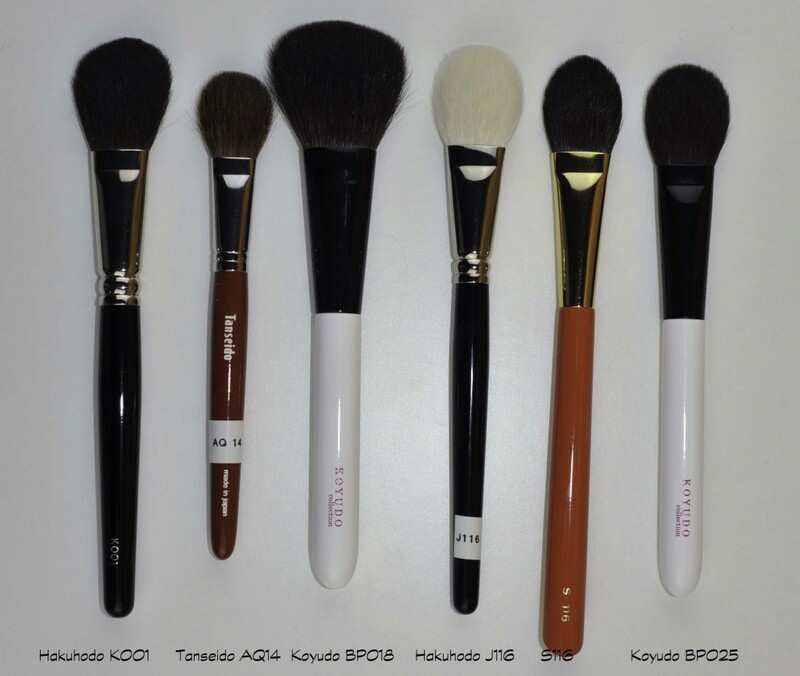 Koyudo and Ayanokoji was last modified: September 24th, 2014 by Sonia G.
I see that brush comb again lol. I need it. I have the heart pouch too. It came with my fu-pa14. that’s right, I think they were pairing these two, thank you Bea for telling me. 🙂 thank you Amy !! 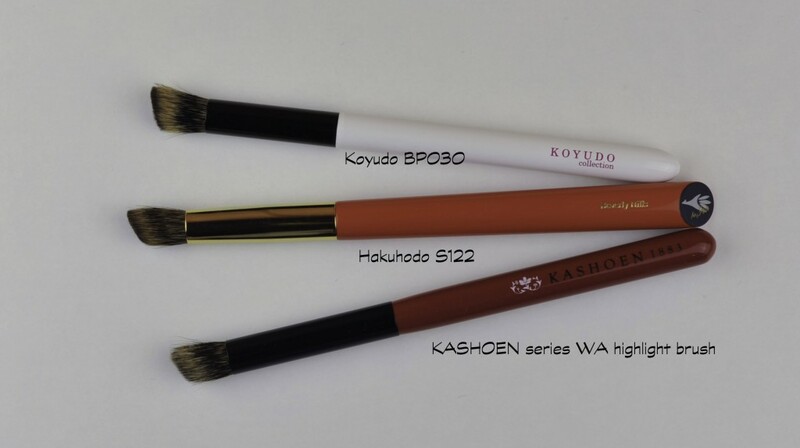 so sweet Kristyn, thanks for your kind comment, I am sure you will enjoy Koyudo brushes, no doubt about that 🙂 please let me know !! I actually have a weird fetish for clasp frame purses, almost all my make-up bags and coin purses have this kind of closure and I love Japanese made products so I’m excited to investigate these ones you’ve shown us! 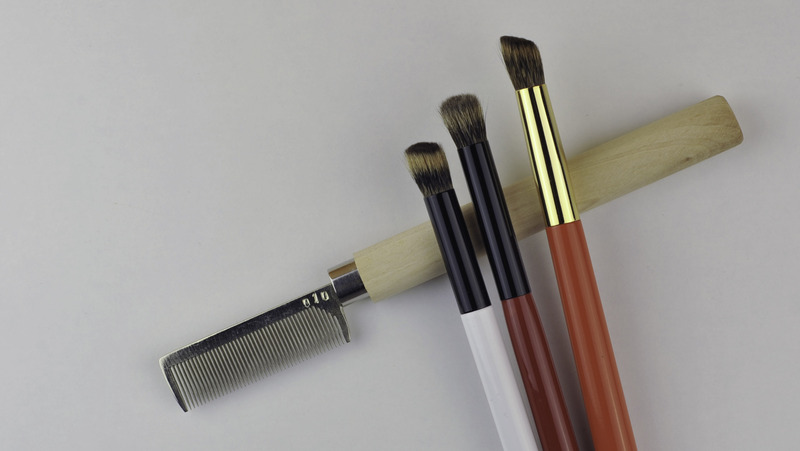 Also they are great for brush storage because the hairs won’t get caught in the zip. 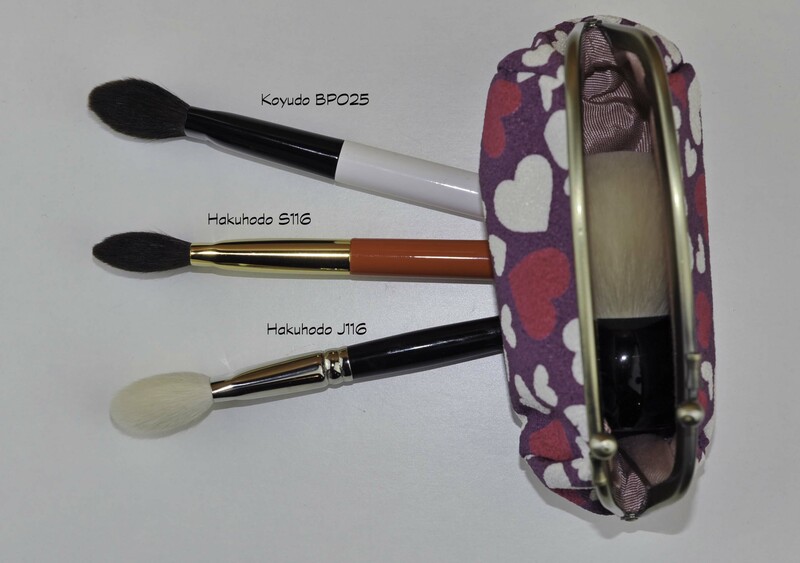 It always makes me mad when kabuki brushes are sold in zippered bags (e.g. Bobbi Brown, Make-up Forever) because the hairs can get caught in the zip and then your beautiful expensive brush will be ruined! 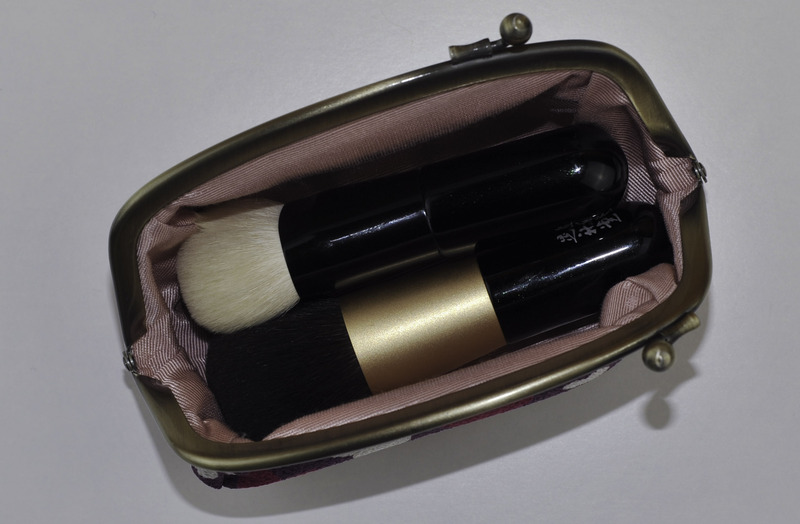 I am eyeing this pouch when I browse around the brushes and thinking what is the different with another. Thank you for reviewing this. Thats such a cute ‘sleeping bag’ for the mushroom 🙂 🙂 she looks so peaceful in it! Def great idea for travelling and looks very well made. I have asked them now and will let you know ! for the Kashoen, please wait my review… it’s written, I just have to finish typing it ! glad you are back Melissa !! the BP025 looks (and sounds!) very tempting. How does it compare to the Hakuhodo Kokutan eyeshadow L? … and to Tanseido AQ14? Do you have any preference? I love your reviews and your passion for makeup brushes. My only complaint is the imminent financial ruin I will face when I inevitably blow all my money on brushes! I know how it is.. that’s why we have to take it slowly and with patience, this passion takes time and money ! don’t forget to let me know if you fall in love with Koyudo ! And by the way, I’m visiting Hakuhodo showroom in US next Monday!! 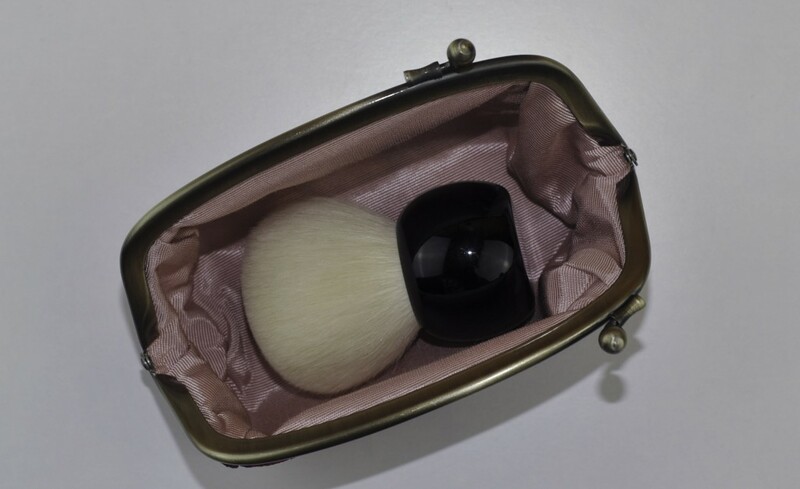 Excited~~~~~~~Hope I will bring back something interesting, like your white single brush case. It’s really adorable!!!! And I just discovered your blog about a week ago. Now I’m reading from Page 1. There is a cleaning and caring post coming soon (it’s in preparation) so your questions will be answered there for sure. Try not to dip the handle (or ferrule) into the running water and wash it with baby shampoo, rinse it well, remove the excess water as much as you can (gently) then leave it flat to dry. Some brushes expand a bit after wash but that is normal. My blue squirrel brushes are all just like the first day and I wash them with baby shampoo or mild shampoo, no worries at all, just make sure they are rinsed and that you remove as much excess water before you leave them to dry (in the shade and flat- never standing). 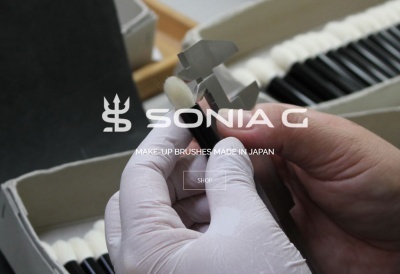 Hi Sonia, I just have a quick question! I’m looking to purchase the pouch that you showed here and I want to use it to store the white mushroom and the H005. I was just wondering if you can fit them both in the same bag or if I should buy two. they fit Nana, the only thing is that the head shape might be a bit altered since they are a bit tight 🙂 in terms of size it’s fine but it may damage the bristles..
Hmmm ok. May just buy two then. Thanks!